With large expanses of glass, it can be tough to determine how to get the right treatment that will allow you to get the benefits of a covering while still enjoying the reason you have that window bank. 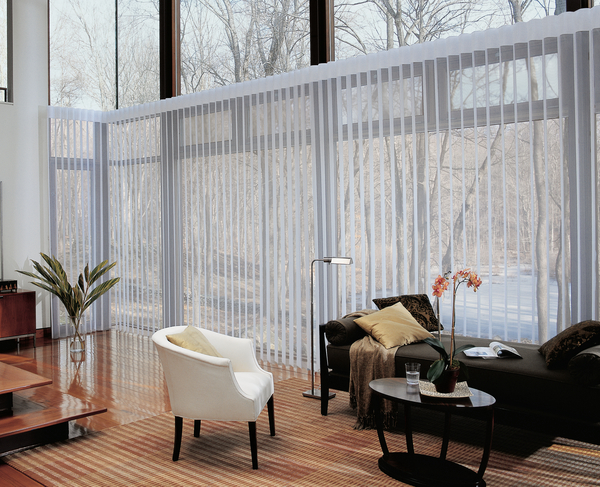 Hunter Douglas Luminette® Privacy Sheers are a great solution for large windows or glass sliding doors. If you’re interested in seeing them in person, contact a representative at Windows, Walls & More serving West Bloomfield today. If you need a vertical solution, don’t look to heavy drapes, bulky shutters, or loud vinyl verticals. 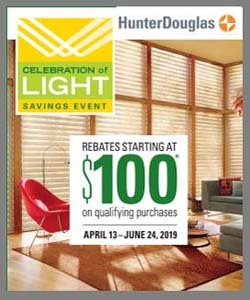 Consider instead Luminette® Privacy Sheers from Hunter Douglas. They have sheer fabric with vertical fabric vanes suspended in between. You can rotate the vanes like a traditional vertical blind, but the difference is that, with the sheer fabric, you can still get some privacy and UV protection. Plus, the fabric is beautiful and light and comes in both translucent and room-darkening options. Luminette fabric is easy to clean and maintain. You can select from eight different fabrics and 66 colorways. This soft vertical has coordinating colors and fabrics that can be combined with other Hunter Douglas products for a coordinated look throughout your home. PowerView Motorization Is a Must-Have! PowerView® Motorization allows you to operate and program your sheers to open and close when you want—even when you aren’t home—morning, noon, and night. Use the PowerView app on your smartphone or tablet to position your shades exactly where you want them. There is also the PowerView® Pebble®, a modern take on the remote control that has incredible range. 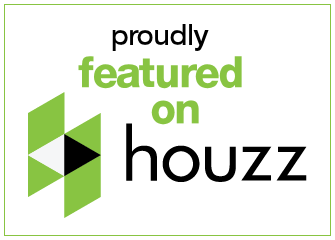 No longer for just convenience, it opens a whole new world of functionality, privacy, and safety for your home.